One of the yummiest - and simplest - breakfasts I enjoy while I am in Vietnam is the humble Banh Mi Op La. This is a simple fried egg served with a baguette (I always ask for an extra straight up). You then make it your own with the judicious addition of soy-sauce (or, more properly, the enhanced soy-sauce which is normally served in Vietnam callen nuoc tuong), chilli sauce and salt & pepper. Using the bread as an eating implement, you eat your fried egg (necessarily with a runny yolk) and you are all ready for the day. It's perfect if you've grown a little tired of the more exotic options and want something that is closer to a western breakfast. 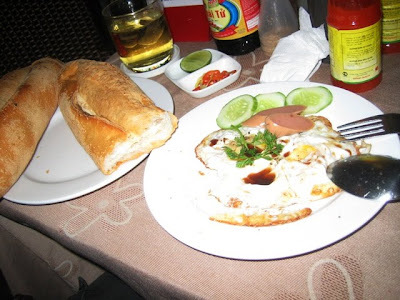 Banh mi op la is readily available on the streets of Ho Chi Minh City, though I'm not so sure about other cities. 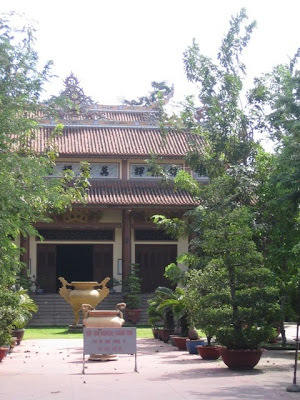 One of the places I mention in Destination Saigon, and a place that has had a significant influence on my spiritual formation, is Van Hanh Buddhist University in Ho Chi Minh City. It was here that I met one of my great spiritual mentors, way back in 1996. Back then it was a dusty and rather ramshackle place. 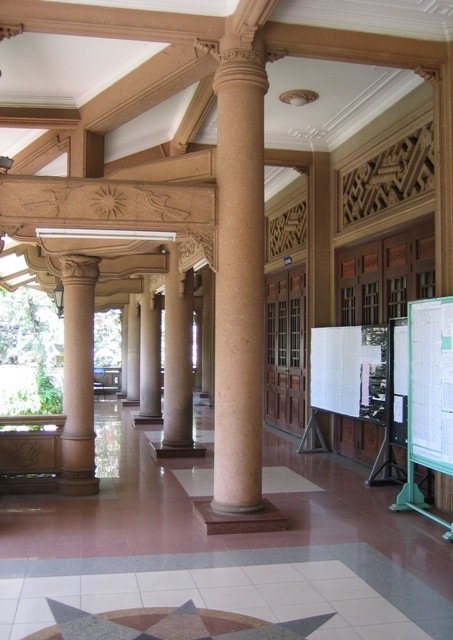 Originally established by Thich Nhat Hanh in the 60s, it hadn't been renovated much since then, and was a tacky collection of wooden buildings that hosted scores of Buddhist monks and nuns studying there from all over the country. I used to just go there and hang out (there was a cafe on the premises back in those more permissive days), and I made so many friends. It was quite a sexist institution then, and monks got to study in the relative cool of the morning, while nuns were forced to do their classes in the hot afternoon. By 1999 the rules had changed, and each year the order of classes was swapped around - nuns got mornings one year, monks the next. 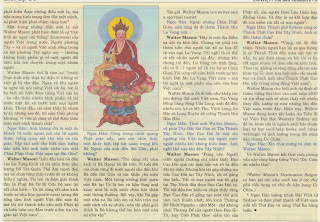 These days Van Hanh is a thoroughly modern co-educational institiution, and monks and nuns attend the classes together. 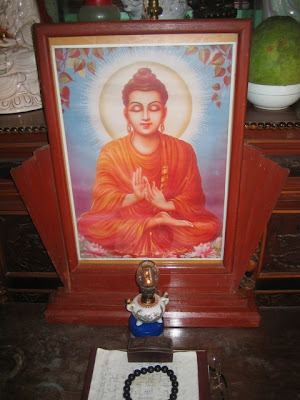 It is quite a unique place in that monastics from all the Buddhist schools and sects study together. 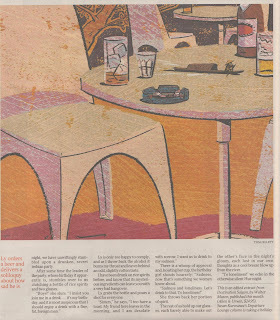 A couple of years ago lay-people were allowed for the first time to study there too, which was something radically new. Until 2000, as I mentioned, the facilities were basic, at best. The grounds also housed a resident monastery, and in a distant corner a walled-off nunnery that served as a hermitage for Su Ba Tri Hai, one of Vietnam's most revered religious figures. 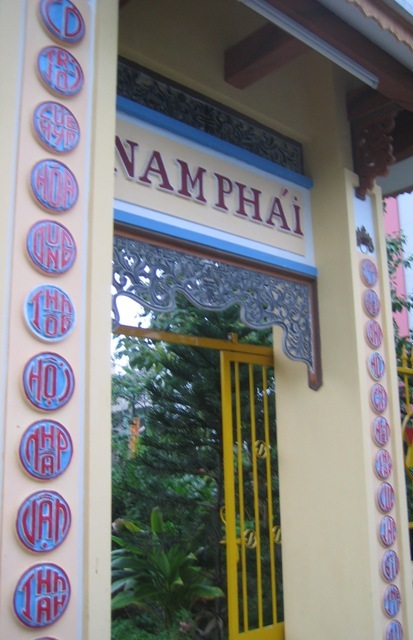 It was in this peaceful little hermitage that I used to take my lunch with my elderly grandparents when they would visit me in Vietnam. 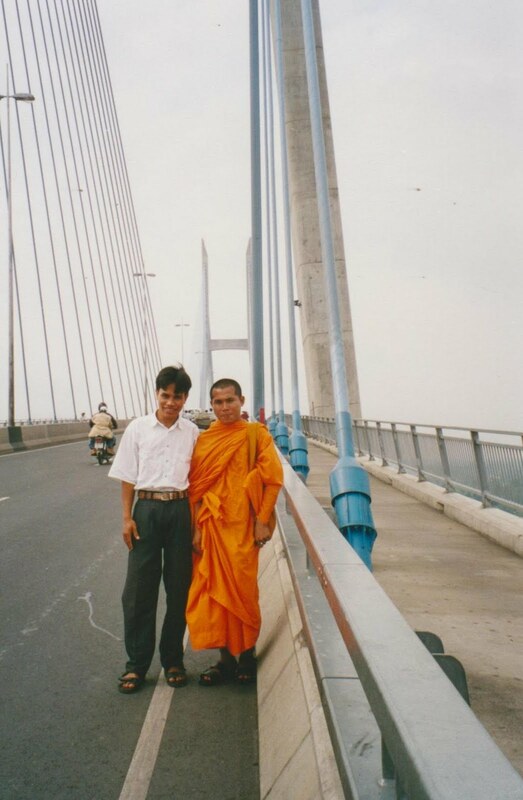 The Elder Nun Tri Hai lived as a recluse, and she sadly died a few years ago, killed in a car accident on Vietnam's incredibly dangerous roads. She and her sister nuns were returning from doing some charity work at one of Vietnam's leprosariums. 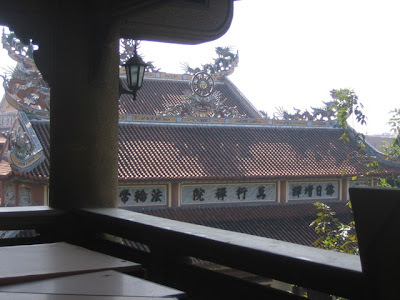 In recent years a Taiwanese Buddhist group has pumped a lot of money into Van Hanh, and it is filled with big, beautiful new buildings and classrooms. There is still a resident monastic community, but the nun's hermitage was demolished after Su Ba Tri Hai's death. If you wanted to visit it now you would probably have to have a good reason, as visitors are no longer encouraged on the grounds, and there is no where to hang out at any rate. The temple functions as a working house of worship, so prayers are held there every evening, and anyone can attend them - if you arrive early it might give you a legitimate reason to have a look around the place. I did a talk at the Theosophical society last night, in the course of which I showed this photograph. A friend with an eye for detail approached me later and asked me about the words running up the sides of the shrine. I explained that they were Vietnamese words shaped to look like Chinese characters. 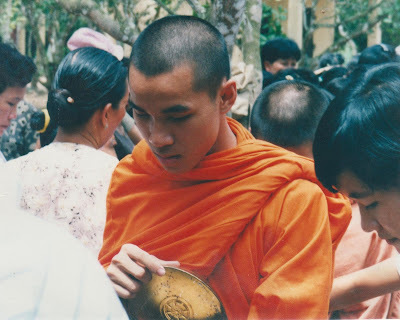 Monks have always been able to read Chinese, but have for centuries pronounced them in the Vietnamese language. These wonderful little motifs take the translation a step further, writing the actual words in Vietnamese, but leaving them roughly the same size, shape and look that the Chinese characters would have taken. It was the first time in a long time I'd thought of this peculiar phenomenon. When I first went to Vietnam in the early 90s this was a very common motif in popular art (especially in Lunar New Year decorations), and it really struck me at the time. The words take on a wonderfully goofy 60s look, which is when I imagine they were first designed. Obviously the use of them has a vaguley nationalistic undertone, i.e. 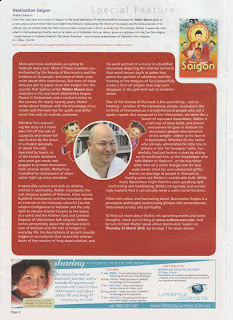 "We have perfectly good words in Vietnamese, we don't need to use Chinese to convey lofty sentiments." 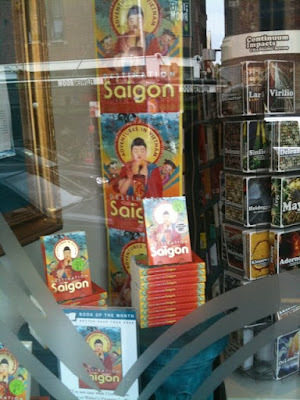 I also realised that this convention is dying out in contemporary Vietnam. Partly because I imagine it appears dated to modern-day Vietnamese, bringing back as it does memories of the harshest days. 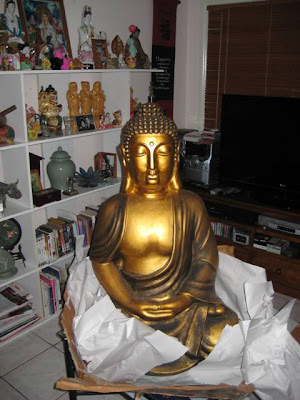 I also think that with the ubiquity of Chinese-produced goods - especially in the area of Buddhist paraphernalia and New Year decorations - it is simply cheaper and easier to buy the mass-produced Chinese stuff. So I imagine this quaint tradition is a dying art, but I have suddenly fallen in love with it. IN a less decorative manner, I noticed that the memorial tablets on Cao Dai shrines are decorated with rather unadorned Vietnamese words. Usually such tablets would be written in Chinese. 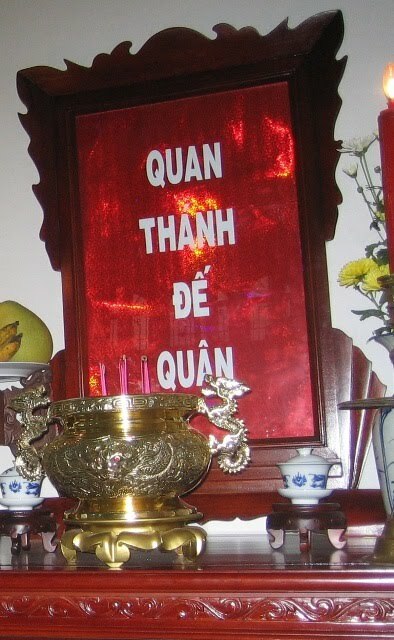 This pic was taken at my friend's Taoist Feng Shui Fortune Telling business on the West Lake in Hanoi - a place that I talk about in my book, Destination Saigon. 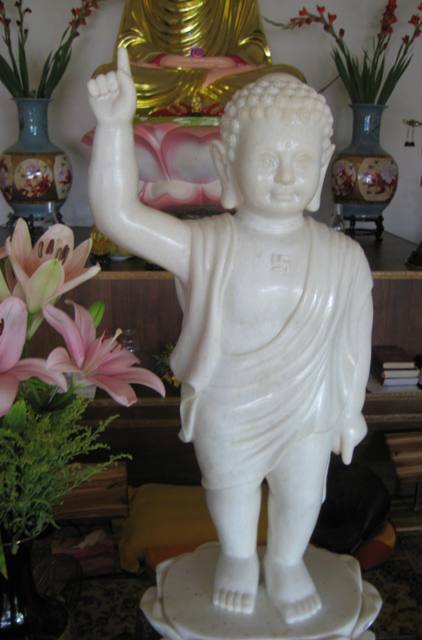 It is a statue of Lu Dongbin - a figure I didn't know much about until I encountered him in my friend's shop. It seems that Lu Dongbin is something of a Patron Saint to practitioners of the Taoist arts. 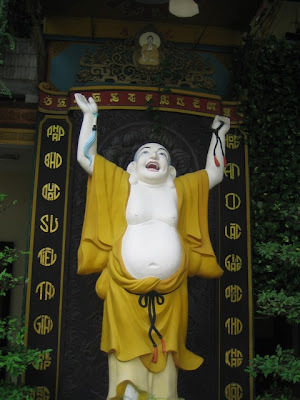 He is also one of the most commonly appearing deities in the world of Chinese folk religion, though he is almost completely unknown to non-Chinese. It seems that in the early part of the 20th Century the cult of Lu Dongbin was particularly popular in Southern China, which explains his presence in so many temples in Hong Kong, and among the Chinese diaspora abroad. 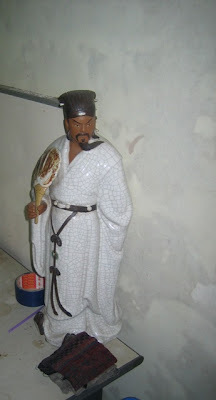 "Lu Dongbin was being taught the art of transforming iron into gold. They would use this gold to help the poor. Dongbin asked his teacher,"Will the gold ever change back to iron?" Li Jung answered, "After five hundred years, it will return to its original form." Dongbin said, "In that case, I do not want to learn this art for it will harm those who possess the gold five hundred years from now." 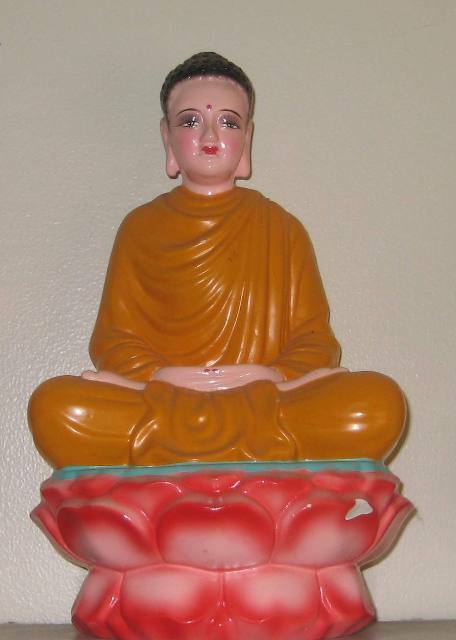 Li Zhong said, "To become an immortal, one must complete three thousand virtuous deeds. What you have just said came from a truly kind heart. 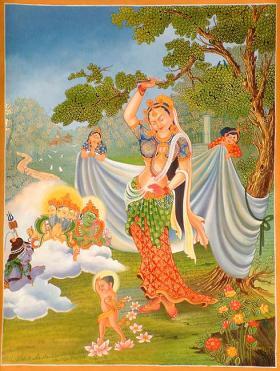 Your three thousand deeds are fulfilled."" Walter giving a talk to MCC Church about his spiritual journey in Destination Saigon. Travelling off the beaten track to far-flung villages and lesser-known towns, we cruise along the Mekong, board hopelessly overcrowded local buses or perch perilously on the back of motor-bikes. Behind-the-scenes visits to Buddhist monasteries reveal a quieter and more transcendent world beyond the busy day trips of tourists. And in the process we begin to see the country through the eyes of its people. 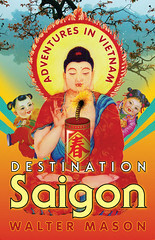 Join us as we get a taste of the real Vietnam and its people on a sometimes funny, always fascinating journey from the bustling cities to out of the way villages, into Buddhist monasteries and along the Mekong - a real delight for armchair travellers and those contemplating their own adventure. Sometimes I think it's the really small details, the truly mundane, that you forget to ask about before you go to visit a foreign country. You'll spend months researching the religion, the culture and the history of your intended destination, but you'll forget to find out what people eat for breakfast, or is toilet paper readily available, or can you buy Mentos at short notice. And, ironically, it is these little things that can make a real difference to how you travel and the quality of your trip. So I see myself as something of a shoe ambassador. Shoes are an important consideration in Vietnam. Now, it's obvious that when you go on holiday you're going to be doing a lot of walking, and so you will need a pair of shoes that will facilitate that. Most Western travellers tend to plump for desert boots or fancy lace-up sports shoes when they travel. But both of these are a disaster in Vietnam. Because, as in most countries in Asia, the Vietnamese are sticklers for the removal of footwear, often in the most unexpected places. I mean, it's obvious that you are going to have remove your shoes when you visit a temple or sacred shrine. But do you know that if (God forbid) you have to visit the dentist in Vietnam you will be required to remove your shoes? So those expensive walking shoes you thought were just perfect for foot slogging will soon become a curse as you find yourself hunched over for the thriteenth time that day lacing them up at some doorway or other. When I go to Vietnam I only pack two types of footwear. Some comfortable leather casuals that slip on and off easily. Skechers or Hush Puppies are perfect, as they can be streetwear, walking shoes or going out shoes. And I also carry a pair of casual leather flip-flops for when I am hanging out - they are cool (i.e. not hot), and flip-flops are what about 95% of Vietnamese wear. If you buy nice ones, you can wear them almost everywhere. Because you almost always leave your shoes at the door, you can even team them with quite a dressy outfit. Am I sounding like Carson Kressley? 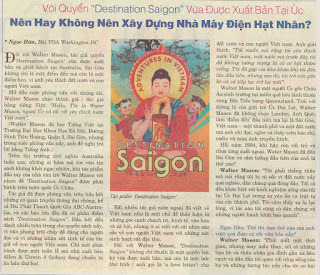 Destination Saigon continues to surprise. 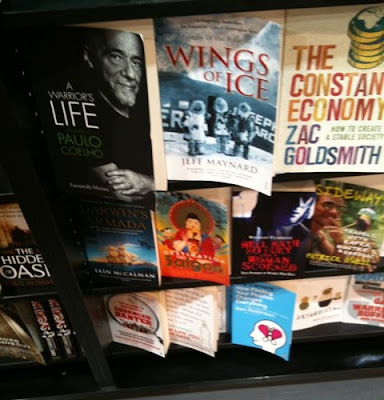 The first book, by first time author, Walter Mason is 47th in the top 200 sales charts for Independent Bookshops in Australia! Yeah! How's the Year of the Tiger going for people? I have been delighted to discover that the Customs House, right on Circular Quay, is continuing a really wonderful art installation based around the theme of the tiger. If you haven't seen it yet I would go now, as it must be finishing soon. 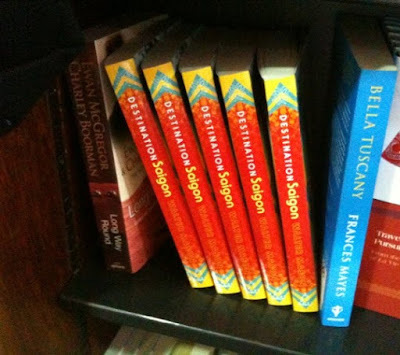 The Year of the Tiger is shaping up to be a terrific one for me, with "Destination Saigon" selling like crazy and roaring up the bestsellers charts (pun intended!). I hope everyone else is experiencing a wonderful year, and I send you all my blessings. When it comes to evaluating and commenting on the nature of a soceity, there is no substitute for the thoughtful objectivity of an outsider who has fallen in love with the place. 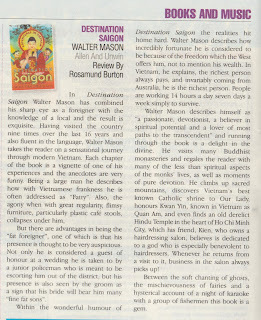 This describes Walter Mason, an Australian who followed his Vietnamese partner, settled in Ho Chi Minh City in the mid-1990s and has since visited the country 11 times. 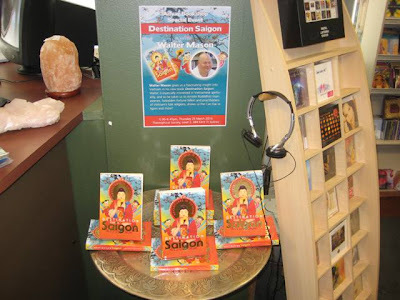 He understands Vietnam with a level of wry fascination and when it comes to the idiosyncrasies of the culture, he speaks the language and can ask a local exactly what is happening. 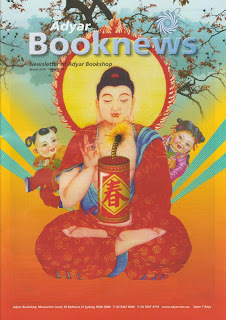 Consequently, this interesting and well written book, apart from being an engrossing narrative of life in Vietnam, is full of useful and practical insights. 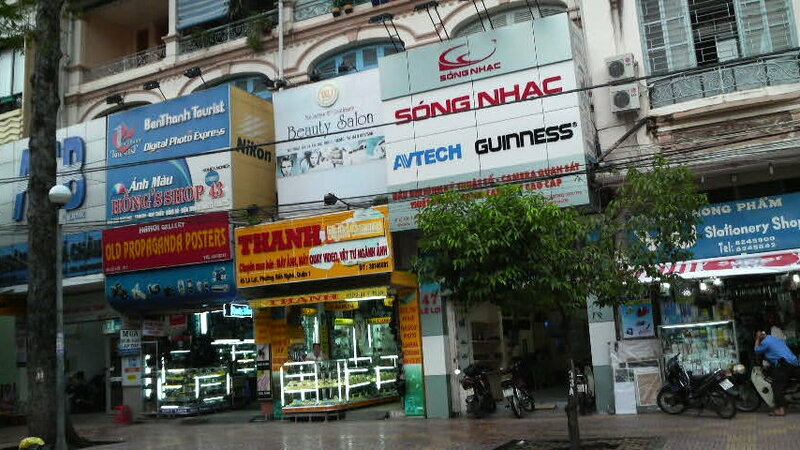 For example: "If you are ever looking for a hotel in Hanoi, I recommend you check the room before you agree to the tariff. Rooms with windows can be rare in the city, so it is easy to disappear into a black hole of a room with no circulation and ample damp, and quite possibly fall asleep for days, waiting for a dawn." 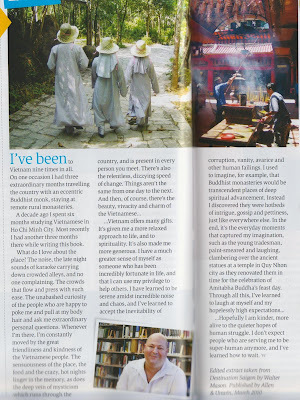 And one of my favourite insights: "for a foreigner, getting a legitimate massage in Vietnam can be quite a difficult thing and I had heard horror stories of notorious goings-on even in five-star hotel spas." Do you really want to know more? An example of quirkiness - and this is what helps make this unusual book so engrossing - is Mason's description of a leprosarium, in Binh Dinh province, that the local tourist authority has tried to turn into a tourist attraction: "As leprosariums go it is quite nice, situated gorgeously by the ocean, replete with coffee shops and restaurants run by the lepers themselves." And then, with just the right level of eyebrow-raising, he adds: "But as a tourist attraction I think it's a abit of a tough sell." Mason obviously loves the country and it's people. 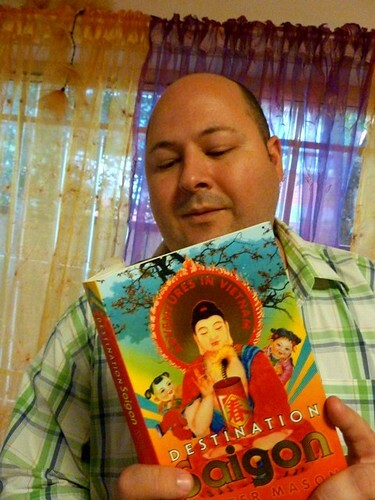 In many ways, this is his love letter to Vietnam. 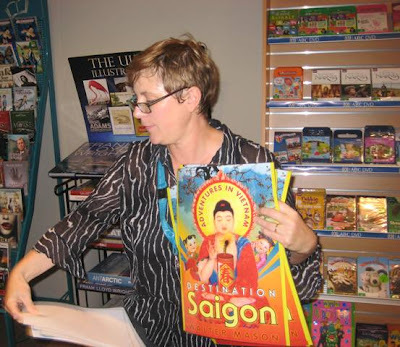 More than a guidebook, it's a story full of insights that will help visitors to understand the unique cultures of Vietnam. Those lucky enough to travel to beautiful Vietnam will readily relate to many of Mason's observations. 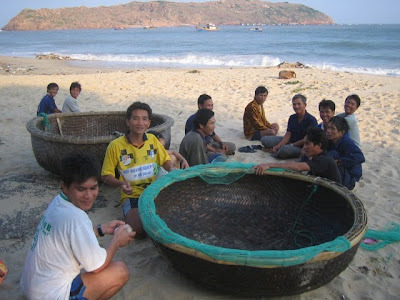 But it is his immersion into the culture, thanks to a Vietnamese partner, that provides some amusing anecdotes. He finds himself well off the tourist track and attending various celebrations such as weddings. Overweight, Mason is refresingly self deprecating as he relates stories of being ribbed when he goes to cafes because of his size. He tells of one visit when a plastic chair collapsed under him. On subsequent visits staff made much of piling plastic chairs on top of each other so they were strong enough to support him. Some stories are funnier than others, but on the whole an entertaining insight. C. Hearney.